Article written by the Watertown Daily Times. Even if the job doesn’t involve using a computer, today’s applicants need computer skills to get that position. Job seekers often find they have to complete applications online or submit their resume as a computer-generated document. The Computer Skills Academy offered at Madison College’s Watertown campus teaches underemployed or unemployed individuals how to use a mouse, keyboarding, creating simple documents, managing files, using the web and more. Eight students recently completed the six-week Watertown Academy. To qualify for the Academy, individuals must meet criteria of the Workforce Innovation and Opportunity Act. This federal legislation was designed to strengthen and improve the nation’s public workforce system and help get Americans – including youths and those with significant barriers to employment – into high-quality jobs and careers, and help employers hire and retain skilled workers. 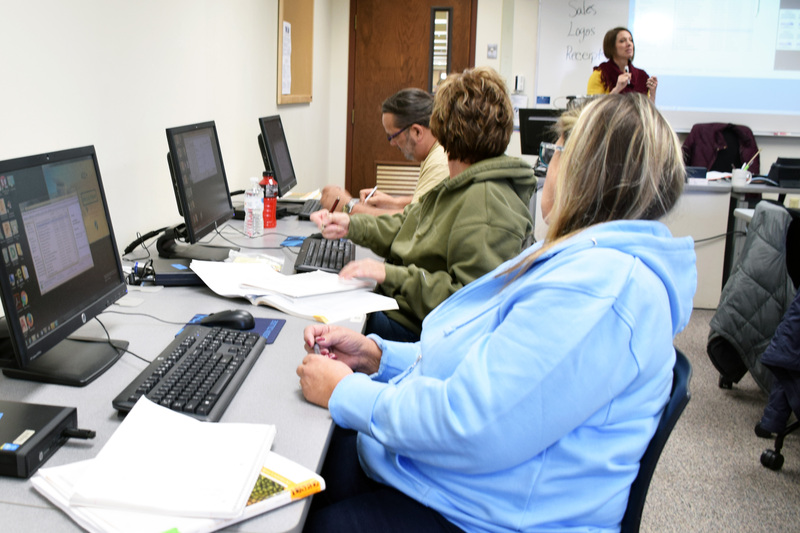 Computer Essentials Academy classes are also offered at the Fort Atkinson, Commercial Avenue, South and Portage campuses of Madison College. To register for the next Watertown Academy contact Becca Collins, 920-675-4625 or gro.krowtentramskrownull@snillocr.